From the director of Exorcism of the Dead (2017) and The Friday Night Death Slot (2015) comes a film about greed and corruption, set in the world of supernatural investigation. Poltergeist Encounters (2016) is a found-footage horror film, set in an empty suburban home, filled with dark secrets. 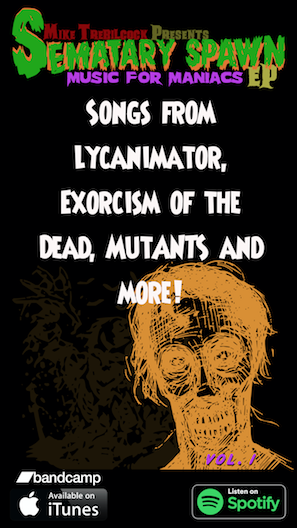 The film was directed by John Migliore and produced by Survival Zombie Films. Mike Trebilcock provided the movie’s score. Poltergeist Encounters will be available on DVD on January 23rd, 2018 from Wild Eye Releasing. A questionable group of paranormal investigators with their own web series receive the offer of a lifetime. They must stay one night in a potentially haunted house to receive a large sum of money. What could possibly go wrong? It seems like easy money to Anton, team leader of the group, and privately, an unbeliever in the supernatural. Mick, Roach, and Terrance are all investigators that take the entire situation far too lightly, before everything they believe changes. On that fateful night, they learn that it’s all fun and games until things get real. 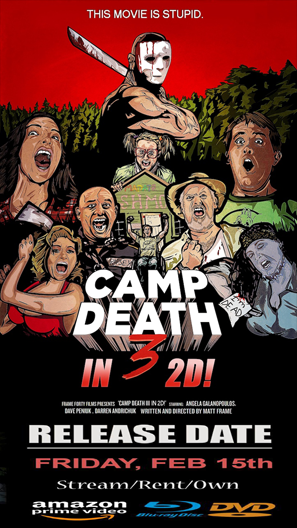 The film’s cast includes Andre Guantanamo from The Friday Night Death Slot, Rachél Hopkins from Johnny Ghoulash Escapes from Creightonville (2014), and Deborah Jayne Reilly Smith from the soon to be released, Exorcism of the Dead. Director John Migliore also produced the online shows Partially Devoured Movies and The Midnight Movie Palace. Both shows can be viewed on the Indie Horror Online Roku Channel and the Survival Zombie Films Vimeo Channel. 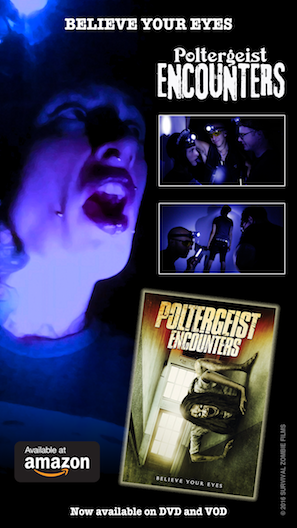 Poltergeist Encounters is Migliore’s 3rd feature film.